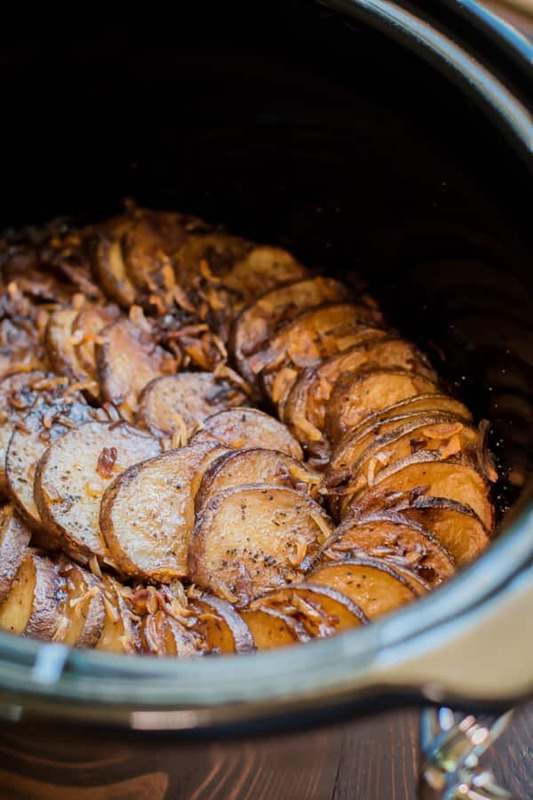 This side dish Slow Cooker Lipton Onion Potatoes is easy and has great onion flavor. 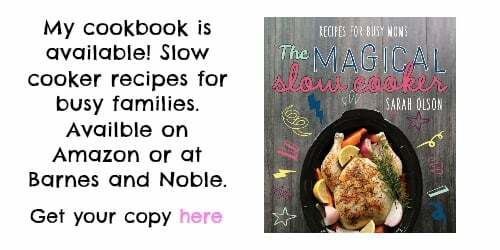 This is a must try recipe if you love to make side dishes in your slow cooker. I saw this recipe in a few places online and had to try it. When I bought the Lipton onion soup mix for this recipe, I read pretty much the same recipe on back of the box, but of course that version is for the oven. This will be a great recipe for me with the summer weather coming soon. These Slow Cooker Lipton Onion Potatoes and grilled chicken are going to make for an easy dinner all summer long. I start by slicing russet potatoes very thin, about a quarter-inch thick. Also make sure to spray your slow cooker with non-stick spray. I arrange the thinly sliced potatoes in a spiral design, then sprinkle over pepper and garlic powder. Then one Lipton onion soup mix and drizzle over olive oil. Be sure to evenly distribute the mix and the oil over the potatoes. 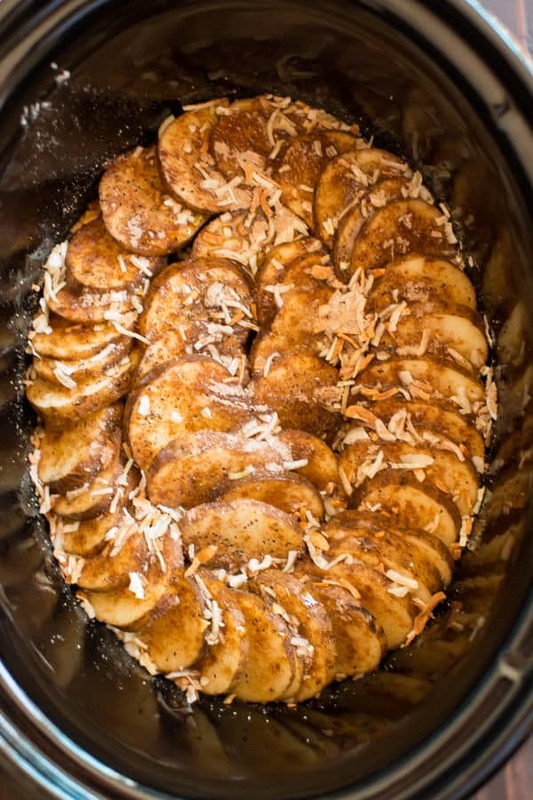 Below is what the potatoes look like after 4 hours on high. Here is my YouTube video of how to make these potatoes. You can follow me on YouTube, here. What would you serve with these potatoes? 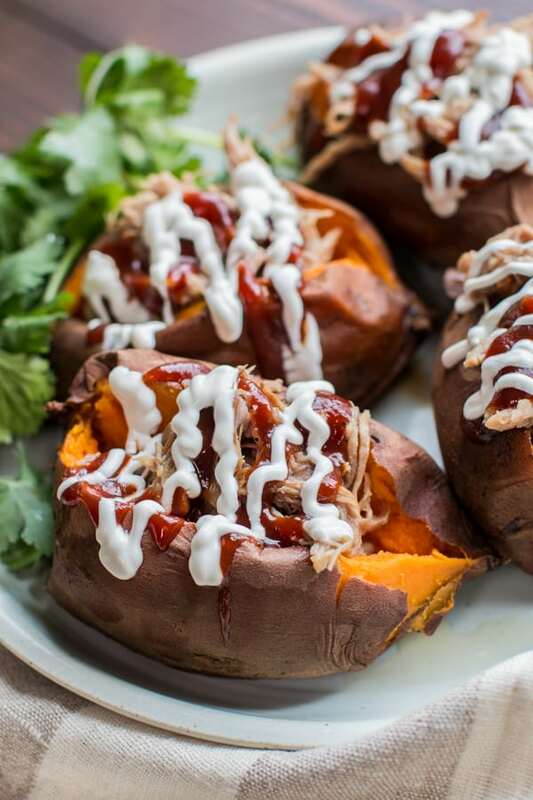 I’m all about the side dishes and carbs, so I’d be happy with just this! 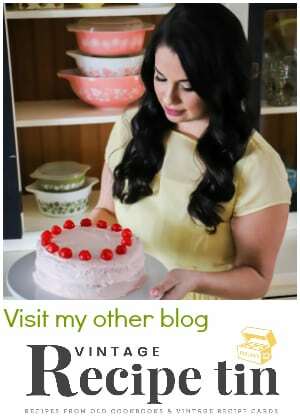 Have a great week and I’ll be back mid next week with a new recipe. 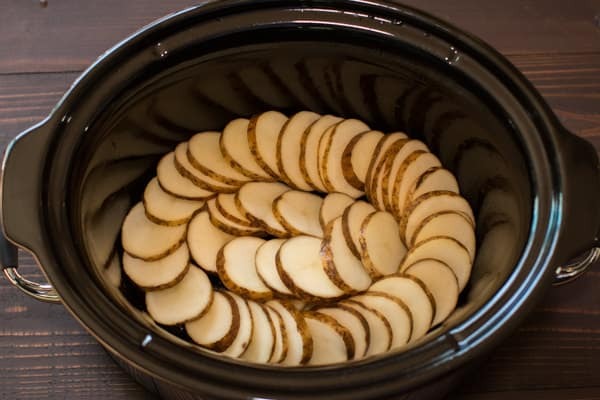 Add the potatoes to the slow cooker in a spiral design if desired. Sprinkle over the garlic powder, pepper and onion soup mix. 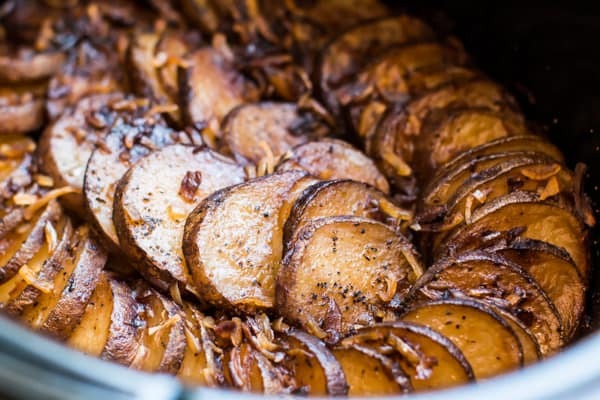 Drizzle the olive oil evenly over the potatoes. 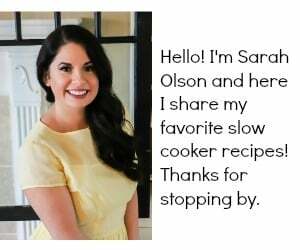 I used my touchscreen 6.5 quart Crock-Pot® for this recipe, though any slow cooker 4-quart or larger should work fine. These look amazing and they are so simple to make. I’m making these soon. I think it would be too long. 6 hours on low may work ok.
I’ve been making the recipe on the Lipton Onion Soup box in the slow cooker for years. I put the soup mix and oil in a large plastic bag and add the potatoes, then shake them to coat evenly. It works much better than trying to coat the in the slow cooker. Just my 2 cents worth. Thanks for the tips Nancy! Nancy, that’s a great idea! Do you think you could add cut up chicken tenders to this? They would easily cook in 4 hours. 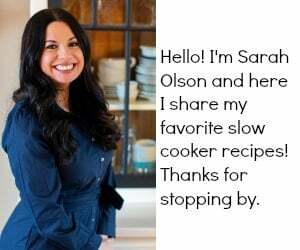 I’m always looking for a one pot meal that is savory. Hi Kelly. I don’t see why not! I love one pot meals myself. Can you cut the skin off the potatoes or leaving the skin on would be better? You can do either! I liked these with the skins on though. I need to double the recipe. Will another layer added on top, still cook well?